The Corbo Jewelers family has been selling fine jewelry to their lovable customers and friends for many generations. They carry a vast collection of designer and branded jewelry in diamonds, gold and precious stones for all their customers special occasions. Exclusive Diamond Bridal Sets, Wedding Bands, Engagement Rings and Certified Loose Diamonds and more in their Jewelry Stores in Rutherford, Clifton and Chester, New Jersey. When it comes to experience, the Corbo family has plenty of it! From diamond engagement rings to luxury time pieces, this family has been involved in the jewelry business for well over a century! It all began in Naples, Italy in 1898 with Alfonso Corbo selling and repairing fine jewelry for his friends and customers. After much consideration, Alfonso Corbo decided to relocate his family of ten and his jewelry business to the United States. Settling in Newark, New Jersey, Alfonso went door to door building relationships and providing jewelry services for members of the community. Six out of Alfonso's eight children chose to continue the tradition of providing fine jewelry and services, and opened a jewelry store in 1918 in Newark, New Jersey. Offering a vast selection of bridal jewelry and repair services, business quickly increased so much they had to relocate to a bigger facility in 1945 to Bloomfield. As the years went by, more generations of Corbos joined the family business, and more store fronts were opened to accommodate their growing and successful jewelry business. Although times have changed significantly since 1898, the basic morals and work ethic of Corbo Jewelers has remained unscathed. Their business was built on the foundation of trust and integrity, and every single employee and family member still practices this honest method of business today. Whether you are looking for wedding bands or a pretty diamond bracelet, the knowledgeable and friendly staff at Corbo Jewelers is willing and capable of helping you find that perfect gift. Corbo's is also the leading seller of colored diamonds in their area. From pristine white diamonds to pink and chocolate diamonds, you can be sure all of their loose diamonds are certified with all Corbo locations standing behind their products with confidence. 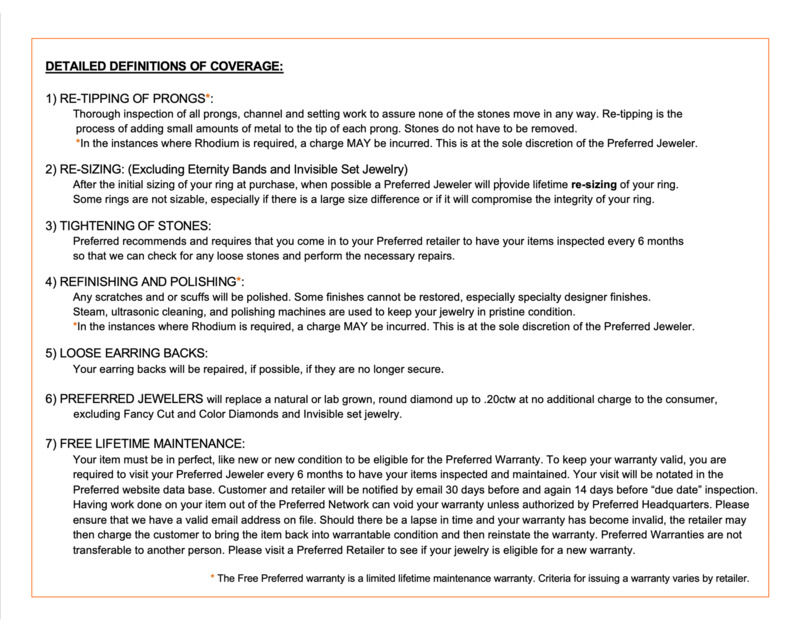 All of their diamonds come with a quality assurance document that gives you all of the information on the stone in order to get it insured and protected from life's accidents. It is important to have insurance on such valuable items so you can wear them with peace of mind! If you are in search of a truly world class jewelry buying experience, Corbo's is the place for you. 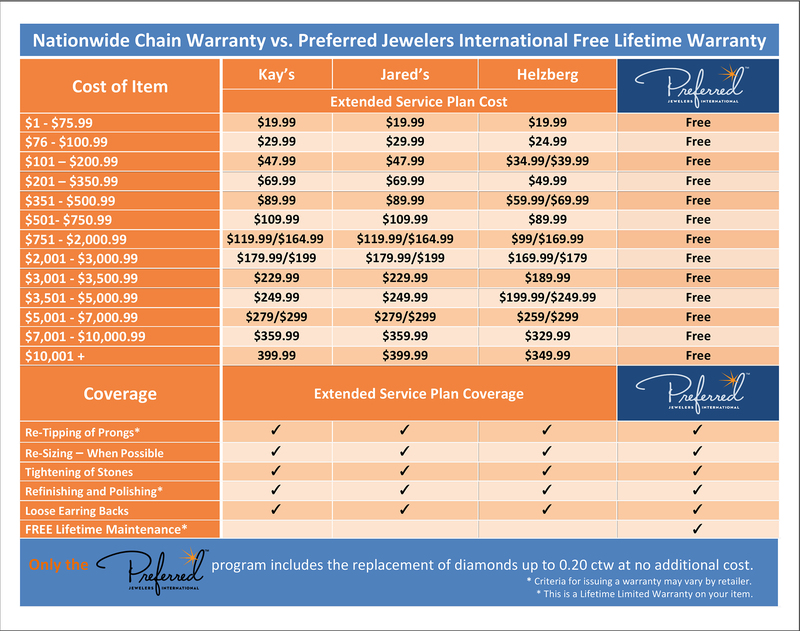 Whether you need jewelry repaired or insurance documents, this reputable company is more than happy to cater to your every jewelry need. Stop by and meet their friendly staff today. It's so nice to still have a neighborhood jeweler to go to for personalized service! The whole team at Corbo is sweet, helpful and professional. You can absolutely trust them with your most precious pieces for a repair and count on them to find you the bauble of your dreams. - Andrea M.